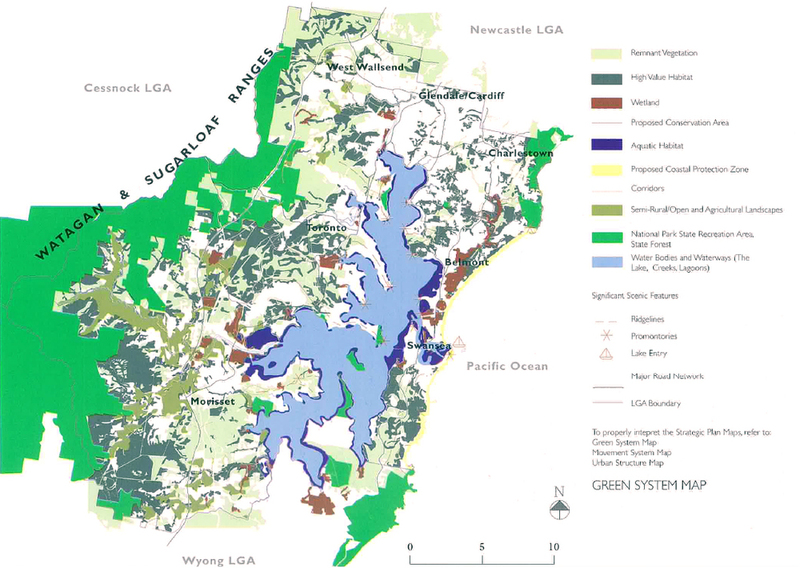 The Lake Macquarie City area incorporates a diverse range of landscapes including the coast along its eastern edge, Lake Macquarie urban area in the centre and a system of ridges to the north and west. Lake Macquarie Council is responsible for management of more than 1,000 open space areas. The Revision of the Local Environment Plan and preparation of the Life Style 2020 Strategic Plan provided an opportunity for preparation of a Strategy for the provision and management of Open Space throughout the City. URS was engaged by Council to prepare the Open Space Strategy Plan and Noel Corkery as a Principal Landscape Architect was responsible for management of the project. The Open Space Strategy identified current shortfalls in the provision of recreation facilities and anticipated demand based on population projections in the Life Style 2020 Strategic Plan. distribution across the planning precincts used by Council. The results were also cross checked against the actual recreation facilities and opportunities within the individual planning precincts. rezoning where necessary. Principal Scenic Resources of the City were identified including a system of tree covered ridges and sections of scenic coastline. The Strategy provided Council with a guide to the location of new recreation facilities that were considered necessary to meet existing shortfalls as well as projected future demand. Protection of the Scenic Resources of the City will maintain the visual quality of the City which is a significant tourist attraction.